Instagram Insights might seem indistinguishable from magic to the usual user. However, you’re not the usual user. You’re thriving to grow your business or presence on Instagram and you’re ready to entail all the advanced tactics that can help you get the glory. And when we say glory, we mean amazing marketing results. 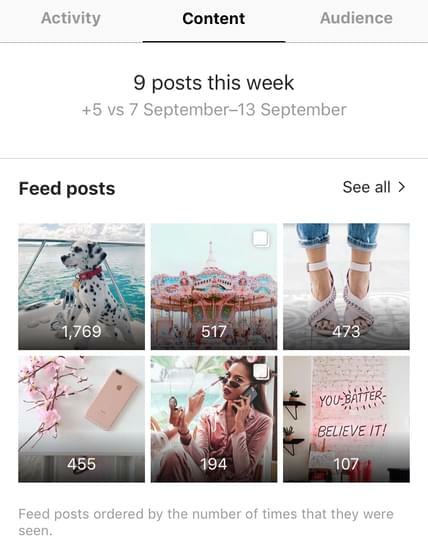 Because that’s exactly what Instagram Insights can help you achieve: boosted marketing results and the power to tweak your strategy in order to keep these growing. Now, we’ll not going to leave you wondering how to do the ‘trick’. We’re going to uncover exactly how Instagram Insights can help you understand your followers, posts, stories, and campaigns. This way, you’ll be able to draw valuable conclusions and constantly improve your efforts in order to become more and more successful. But, because Instagram Insights do have some complex layers to peel off, we’re going to take it slow. So, let’s start from the beginning. Are you with us? What can you learn from Instagram Insights? Instagram Insights are some pretty neat native analytics tools that can give you more info about what’s happening behind the hood of your account. 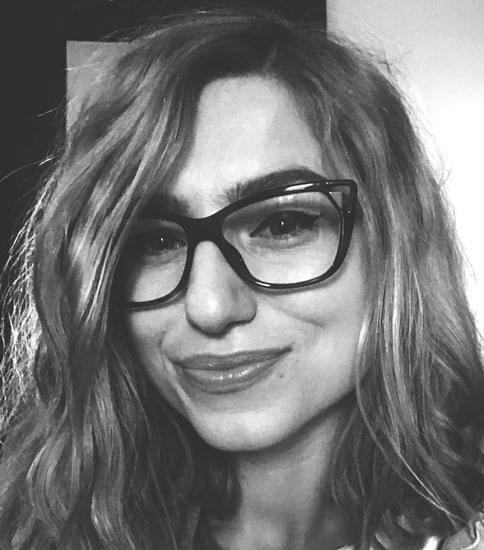 Basically, Instagram Insights are the perfect best friend, not afraid to tell you the honest truth straight-up: ‘is your strategy working or is it just hot water?’, ‘are your posts attracting engagements or are these just another brick in the wall?’, ‘do your campaigns hit their target or are they a near miss?’ - you get the point. Instagram Insights will give you some tough, well-deserved love to get your marketing efforts on the efficiency path asap. Before you get too excited though, make sure to switch to a business account. Yes, that’s the only way you’ll be able to access Instagram Insights. 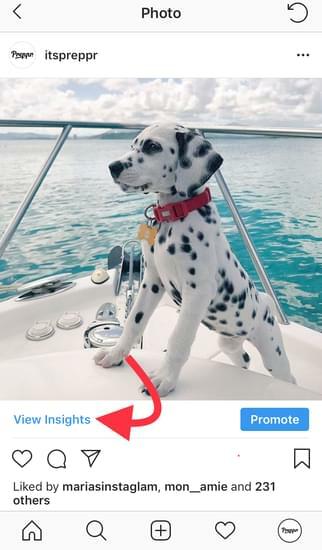 Another point worth mentioning (so that you won’t be disappointed) is that Instagram Insights will only display analytics for content that’s been posted after you made the switch to a business account. Seems only fair, right? 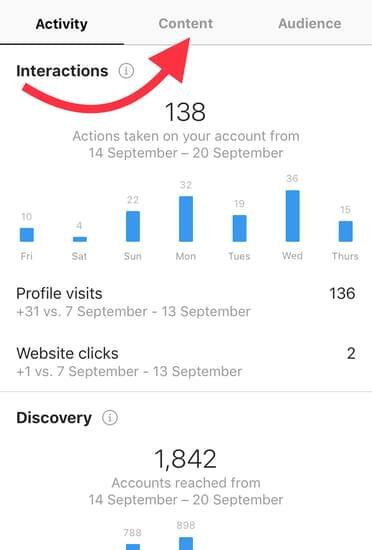 Once you open Instagram Insights, the dashboard will open in the ‘Activity’ tab, giving away valuable info about the actions taken on your account in the last week, per days. This includes the number of ‘Profile Visits’ and ‘Website Clicks’ or the number of times followers e-mailed or called your designated phone. 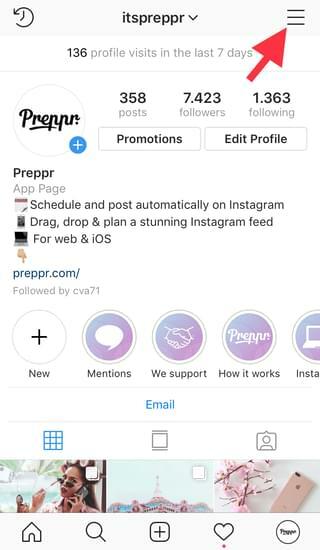 You’ll also have a better understanding of your ‘Reach’ and ‘Impressions’, meaning the number of users who saw your posts and the average number of times a particular user saw a post. The content tab shares insights regarding the posts you created in the last seven days. Instagram Insights will oder these posts by the number of times that they were seen. That means you’ll be able to see exactly what type of content appeals best to your audience and, hence, what content to replicate in the future. The Content Tab is also the place where you can find Insights regarding your Stories and Promotions (if you have created any in the last 7 days). For Instagram Stories you’ll be able to understand in-depth details regarding taps forward, taps back, exits, impressions, reach and so much more. Oh, the wonderful Audience Tab! Here is where you’ll find precious analytics that will help you better understand your followers. 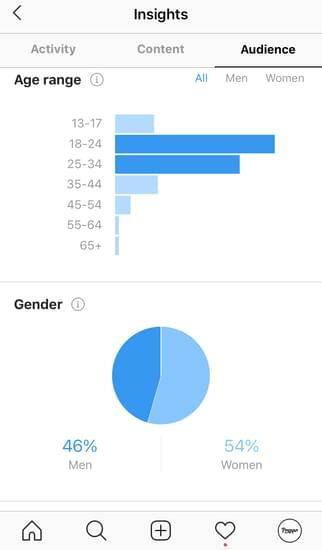 Instagram Insights will equip you with knowledge regarding your audience’s Top locations, Age range, Gender and the hours and days they’re most active in. 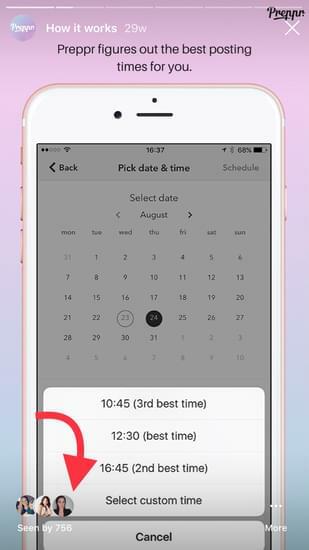 Better understand what attracted users to your page by discovering the days in which your account has been discovered the most times. Did you roll a promotion, ran a campaign, distributed a post or created an Instagram Story on those days? If so, you know what you need to do: more of that awesome thing that attracted them in the first place. See what type of content strategy and captions work best by checking the feed posts Instagram Insights. This way you’ll be able to replicate the strategic direction of those specific posts, the color palette and the tone of voice. For better and better results. See if your target audience and your actual audience match by viewing the Instagram Insights connected to your audience. Then, start adjusting your strategy and your content to fit the people who are interacting most with your profile. It’s not the first time we explain (and strongly advocate for) Instagram Insights. We’ve previously went into details by describing Instagram Insights and offering other useful ideas about what analytics you could use to improve your content strategy and marketing results. However, a lesson taught twice is a lesson closer to be learned. So read read read and then apply what you’ve read. because practice is the best insight you’ll get.